Canada Post is poised to unveil a digital mailbox system that could give every Canadian a secure and authenticated identity linked to their home address — and propel the 249-year-old institution into the digital age. The Crown corporation will officially launch a national rollout of thedigital mailbox program in Ontario’s Kitchener-Waterloo region sometimethis summer, though it won’t give an exact date at this point. What Canada Post will say at this pointis that it’s going digital orbust. 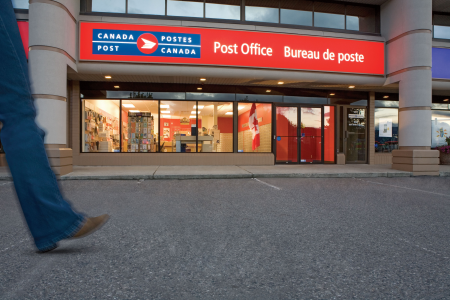 “This is a shift of Canada Post digitally towards being an IT(services) provider but also an IT enabler when it comes to connectingbusiness, consumers and government,” said Kerry Munro, group presidentfor digital delivery networks at Canada Post. Canada Post plans to make more ofits services digital starting this summer. The digital mailbox will be a focal point of the new e-servicesstrategy. It will give Canadians a way to digitally authenticate theiridentity and link it to their physical address. The implications couldbe enormous: thousands of functions that require people to verify theiridentity and address on paper forms may soon be done online through theCanada Post Web site. The key is Canada Post’s reputation as a two-and-a-half centuries old Crowncorporation, which gives it a gateway to online authentication thatwould never be granted to any other private service provider, Munrosaid. It’s the same reason all of Canada’s major credit card, bankingand utility companies have already granted Canada Post the ability todirectly tie the existing ePost online bill notification service intotheir payment transaction systems, he added. Related Story | Can postal codes by copyrighted? Munro’s vision for Canada Post’s e-evolution, if you will, entailstaking its successful ePost service – which sends consumers online billnotifications for everything from hydro to credit card bills – andbuilding it out to as an online portal where consumers can accessgovernment services, receive e-flyers from businesses, and haveWeb-based coupons or daily deals offers sent to their ePost inboxes. “ePost will shift to become more that digital platform that helpsCanadians manage the business of their lives,” said Munro, a formerYahoo Canada executive. Consumers will be able to use the basic digital mailbox service forfree but businesses will be charged a fee to use it for online contentor service delivery purposes, he said. Munro also plans to bring CanadaPost into the mobile age by eventually releasing some of its e-servicesas apps. Canada Post has already opened its Digital Newsstand service,which allows consumers to subscribe to 5,500 online magazines fromaround the world. “We’re extending our service proposition from what it was as a249-year-old bricks-and-mortar organization toone that’s an anywhere,any time (service),” Munro said. Various types of digital mailbox services are also available inAustralia, Switzerland and the UK.